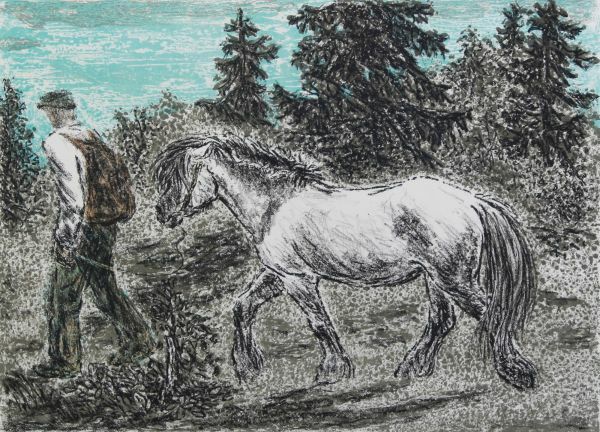 KIHLE, HARALD(1905-1997): "Hestehandler" 1974, litho. 36/125. 26x36 cm., sign. nth.